The groom nodded. “Aye. Cold out tonight it is, sir.” His breath plumed out before him as if to give credence to his words. Darcy drew on his gloves. “Don’t wait for me. I don’t expect to return until quite late.” He thrust his boot in the stirrup and swung himself up on the stallion. He held the reins tightly; the horse was restive. Darcy bid him goodnight and, without further remark, urged the horse into a gallop. There wasn’t a minute to waste. The cold was indeed brutal tonight, and soon turned his extremities numb; but it also served to sharpen his focus as the darkened countryside rushed by, and strengthened his resolve. How could he have been so foolish as to make a bargain with the devil? Yet he had. Worse still, he was about to compound his mistake and deal with the devil again. It was madness. Insanity. If not for his deep and unwavering love for Elizabeth Bennet, and his despair of ever securing her affection in return, he would never have left Netherfield, nor found himself alone in a deserted and skeletal wood, facing the Dark Lord himself. He’d given up his very soul to obtain Elizabeth’s love. Now he wanted it back. Tonight’s meeting, he was determined, would end in his favor. He would regain his soul, no matter the cost. Even if it meant relinquishing his supernatural hold on Miss Bennet. He would earn her love on his own terms, or not at all. Quite some time later – an hour, perhaps two – he slowed the horse and slackened his grip on the reins as they neared a juncture in the road. The forest he remembered loomed just ahead and to the left. The woods bordered a lonely stretch of land inhabited by neither man nor beast. Darcy set his mouth in a grim line. His business of the night before was not finished, and would not be finished until he found the man he sought. Nothing would deter him. Dismounting and looping the reins around a low-hanging tree branch, Darcy took his bearings. Yes, this was the place…the very place where he had so recklessly bartered his soul. He strode into the thick of the wood. Ignoring the rustle of leaves around him, the mournful moaning of wind in the branches, Darcy did not pause until he reached a clearing set deep amongst the trees. As before, a wind arose out of nowhere and sent the leaves swirling at his feet, and thunder rumbled and reverberated overhead. “No, it is only begun. I have a proposal.” Despite the dread that held him to the spot as surely as the gnarled roots of the trees around them, Mr Darcy gave no sign. He could not, would not, show anything but indifference and distain to this creature. For some moments, the only sound was the rustle of leaves falling to the ground and the low sigh of the wind through the branches. The ground trembled and shook as the devil raised one long, black-nailed hand skyward, and with another terrible rumble of thunder he vanished, leaving only the stench of sulfur behind. Dear God – what have I done? Darcy thought as he turned, dazed, and stumbled back to his horse. He had one day to turn Elizabeth’s indifference towards him into love. How would he do it? Could he do it? He had no choice. He must impress on her the depth of his feelings, or lose his soul – and her heart – forever. He must find the words to convince her that he loved no other and never would. Darcy left the forest and swung himself up into the saddle once again. Feeling suddenly exhausted, his brain swept clean of thought, he turned his horse towards Pemberley, and home. Early the next morning Elizabeth woke with a start. She rose and dressed warmly, and after hurriedly scribbling a note for her sister Jane, propped it on their bedside table and slipped outside for a walk. She had much to think about. Mr Darcy’s behavior on All Hallow’s Eve still troubled her. After discovering his disappearance following the musicale, those remaining at Netherfield – herself included – had searched the surrounding area, to no avail. Where had he gone during those darkest hours of the night? She walked quickly across the fields, scarcely noticing the bales of hay or the bare trees, intent only on puzzling out Darcy’s strange, impassioned words when she’d finally found him. He had professed his love for her. Never had she thought to hear such a declaration of devotion from a man as austere and aloof as Fitzwilliam Darcy. It was unexpected. It was shocking. It was completely unlike him. Climbing up and over a stile and into the adjoining field, Elizabeth continued on, scarcely aware that her steps led her unerringly towards Pemberley. She could find no explanation for Darcy’s behavior, unless a fever had gripped him during his walk. She remembered his eyes had shone with the unnatural brightness of a sickbed patient. He had said he loved her; she’d told him the same, though she knew in her heart it could not be true. A man like Mr Darcy did not love someone of so little consequence as she. A man like Darcy, Elizabeth thought darkly, did not love at all. The distant drumming of hoof beats caught her attention. 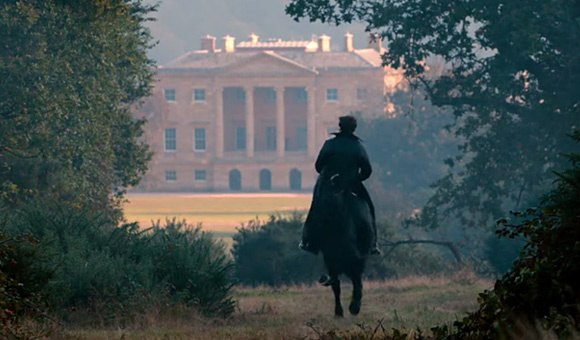 She looked up, startled to see that she had wandered onto Pemberley’s grounds, and even more astonished to see who sat astride the great black stallion. “Mr Darcy!” she called out in sudden alarm, and hurried forwards. He sat slumped forward against the horse’s neck; the reins had slipped from his hands and hung free. His face, she saw as she drew nearer, was as pale and colorless as tallow, and his eyes were closed. He stirred and struggled to sit up. “Miss…Bennet,” he murmured. “I am so…tired.” Perspiration dampened his forehead. “So very tired.” Once again he sagged forward, and had Elizabeth not caught him by the shoulder, would surely have fallen. After struggling to right Mr Darcy in the saddle, Elizabeth took the reins in hand and led the horse towards Pemberley, and help. When Darcy awoke later that afternoon he was aware of two things. He was in his own bed…and Elizabeth Bennet sat in the chair beside him. “Until what?” she prompted him gently after a moment. He was obviously feverish. “You had a very odd way of showing it,” she said tartly. She said nothing. She couldn’t. The silence stretched out between them. Something – hope, perhaps – flickered in his eyes. Her heartbeat quickened as he reached out for her hand. “Do you mean to tell me otherwise?” he asked. Thunder, distant but distinct, rumbled outside. She sat down beside him, as naturally and unselfconsciously as if they were already wed, and leaned forward to kiss the man who’d captured her heart so completely. “What was that?” she asked a moment later, lifting her head and frowning as another, louder roll of thunder sounded nearby and faded into silence. 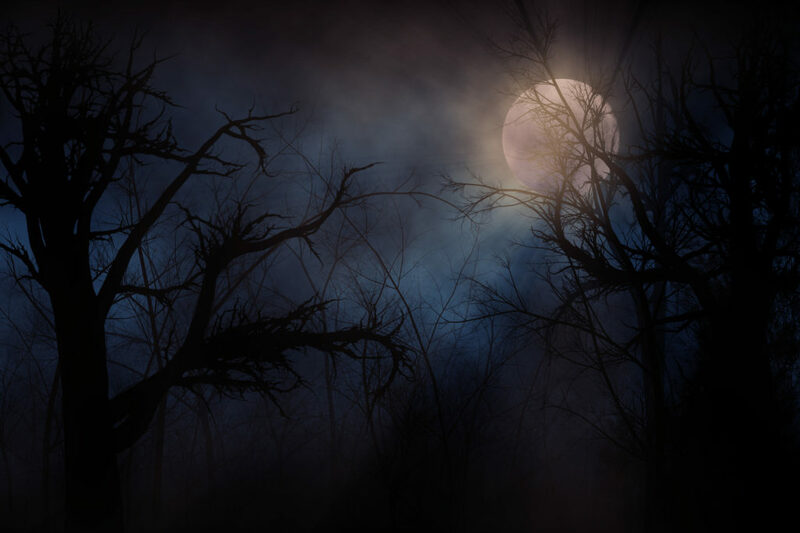 This entry was posted in Halloween, Jane Austen, Monday Blogs, Mr Darcy, Romance and tagged #MondayBlogs, Jane Austen, Katie Oliver, Mr Darcy, Scavenger Hunt on October 31, 2016 by Katieoliver.